Many programmers enjoy making useful chat bots that execute simple commands, enforce rules of a community, and even do deployments via chat-ops. But what if your bot could go beyond these capabilities and interact with people in conversation? Introducing Alice, a friendly, smart, and sometimes smart-aleck-y companion that makes online communities more interactive and personable. Alice seems genuinely intelligent. She remembers facts about people (including pronouns, history, trivia, and bios), lets them play a text-based dungeon game, and — most interestingly — comprehends simple English! She's also complex: built on anatural language processing (NLP) framework that lets her understand simple sentences, context stacks that track conversation topics, and a pipeline architecture inspired by functional programming. This talk includes an interactive demonstration of a unique approach to artificial intelligence that will inspire you to take your own bots beyond the realm of triggering animated gifs, providing practical and entertaining functionality with personality and charm. 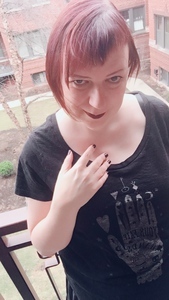 Coraline Ada Ehmke is a an OSS advocate and developer with over 20 years of experience. She was recognized for her work on diversity in open source with a Ruby Hero award in 2016. She's the creator of the Contributor Covenant, the most popular open source code of conduct in the world. She is Principal Engineer at Stitch Fix and works on a team that creates software for automation and process improvement. In her free time Coraline pursues her interests in AI, mentoring, early-career developers, and music production.